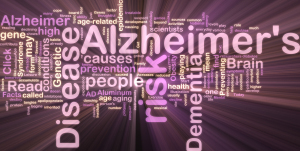 Being a family caregiver for an elderly adult who is living with Alzheimer’s disease is very challenging. When you add a lack of awareness of the disease and its effects, it can make it even more difficult for you to manage. Anosognosia is a condition defined as a lack of awareness, meaning your aging parent doesn’t know that they are suffering from Alzheimer’s disease, or that they are dealing with the challenges and decreased functioning related to the disease. An elder who doesn’t know they are dealing with an illness can become extremely defensive when it comes to a person or team trying to care for them, or help them with tasks they don’t feel they need help managing. Coping with this condition can be difficult, but it is important for preserving the quality of your care efforts for your senior, and for your own well-being as you care for them. *Remind yourself that your aging parent does not know what’s happening, and that they are likely confused, upset, and even scared by people telling them they are doing something wrong or trying to care for them. If they react negatively to your care efforts, ask yourself how you would feel if someone was doing the same to you when you didn’t believe there was anything wrong. *Keep in mind that most people, but especially those who are living with Alzheimer’s disease, are more likely to be focused, cooperative, and in a good mood early in the day when they are rested. Try to manage as many errands and care tasks as possible during this time to reduce the chances of negative behaviors. *Don’t try to “convince” your parent of their disease or the impairment. This is likely to just make your parent uncomfortable and upset. Instead, work around their lack of awareness, and find ways to ensure they get the care they need even when they don’t understand what they are going through. *Create structure in their day, and follow their routine every day. This provides a sense of security and reduces anxiety, and also reduces the need for your aging parent to use their memory to handle daily tasks. This lessens the signs of their disease and help them to manage their daily life more effectively without conflict. The progression of Alzheimer’s disease can be an extremely challenging time for your elderly parent, and for you as their family caregiver. There are many steps you can take to help your parent manage their disease and maintain their quality of life, but one that can be meaningful for both your elder and you is starting elder care for them. An in-home elder care services provider can come into your care routine at any point in the progression, whether it is at the very beginning to help your parent throughout each stage of the disease, or later when their symptoms and challenges become more difficult. Whenever you introduce them into your parent’s care routine, this care provider offers the personalized services your aging parent needs to manage their specific challenges now, and as they progress further into their disease. This entry was posted in Alzheimer's Disease/Dementia, Elder Care Atoka TN and tagged Elder Care Atoka TN. Bookmark the permalink.